Roughly, three measures of Fever-Tree Tonic Water, two measures of Broker’s London Dry Gin, a few juniper berries, a slice of fresh squeezed lime, and a leaf of lemon verbena. On the rocks. Delicious. 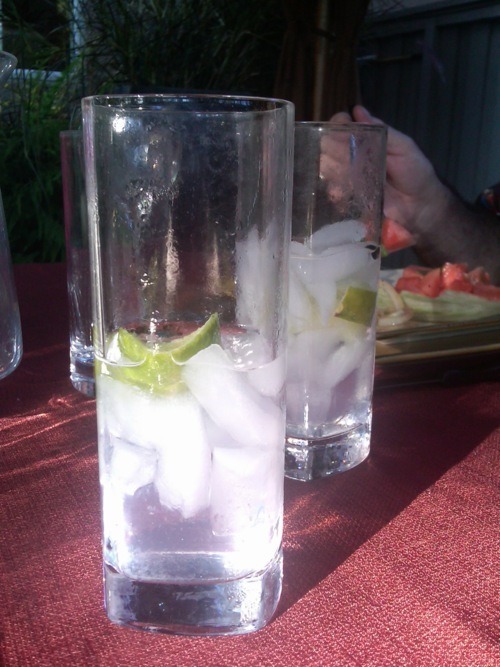 This entry was posted in Food and tagged Alcohol, Food, Gin and Tonic, Mixology, Recipes by Craig Ormiston. Bookmark the permalink.